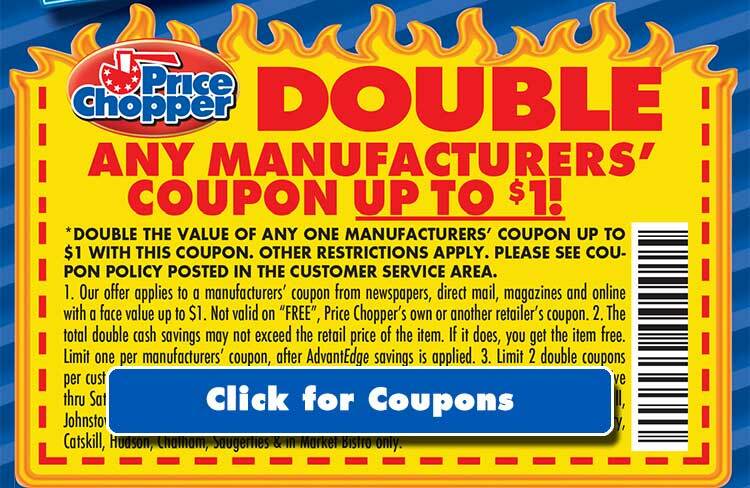 Price Chopper is allowing you to double TWO $1 coupons when you use these two doubler coupons. Valid today through Saturday, May 17th. Click HERE to print the coupons or find them in today’s Times Union. This entry was posted in Coupon, Price Chopper and tagged coupon, doubler, Price Chopper. Bookmark the permalink. ← Win Early Admission Passes to Encore Kids!